The Syrian Orthodox Church (referred to as the Syriac Orthodox Church in English-speaking countries since 2000) is one of the oldest Christian churches of the Middle East according to ethnomusicologist Christian Poche. Tur Abdin, presented here by priests and monks from eastern Turkey, is one of three traditions of Syrian chant that remain in practice, along with Mardin and Tagrit. The ecclesiastical music is largely vocal and consists of improvised prayers and praises to God, built upon eight modes (oktoechos). The first track, “Mass in the First Mode,” was recorded in 1971 at the Monastery of Deyruzafaran (founded in 793) by Habib Hassan Touma and is sung in the Syriac language, a later descendant of the Aramaic language spoken by Jesus Christ and the Apostles. 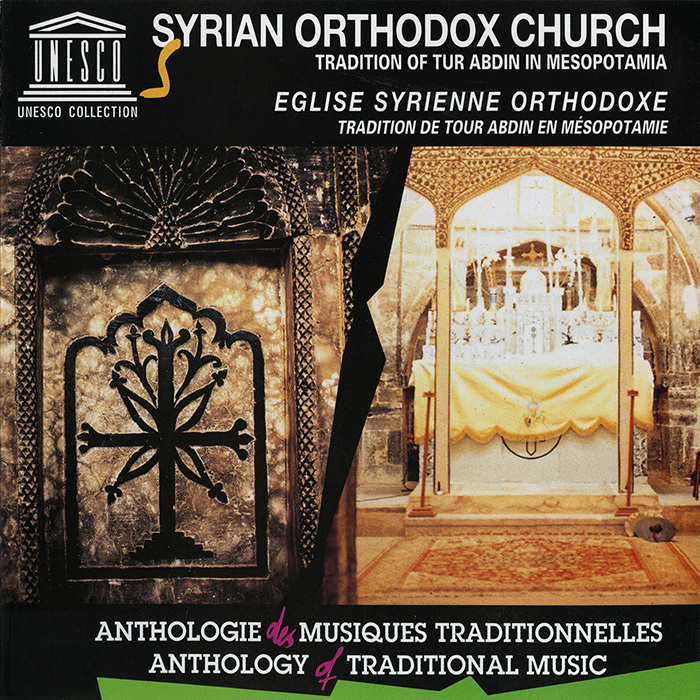 The other three recordings are examples of Syriac ecclesiastical chant.